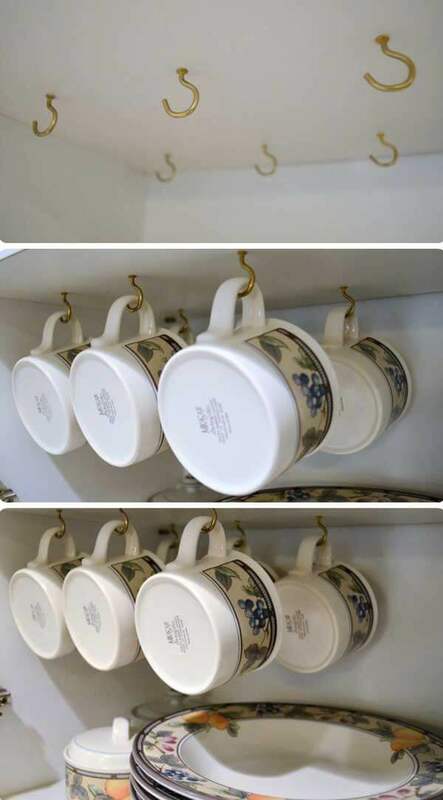 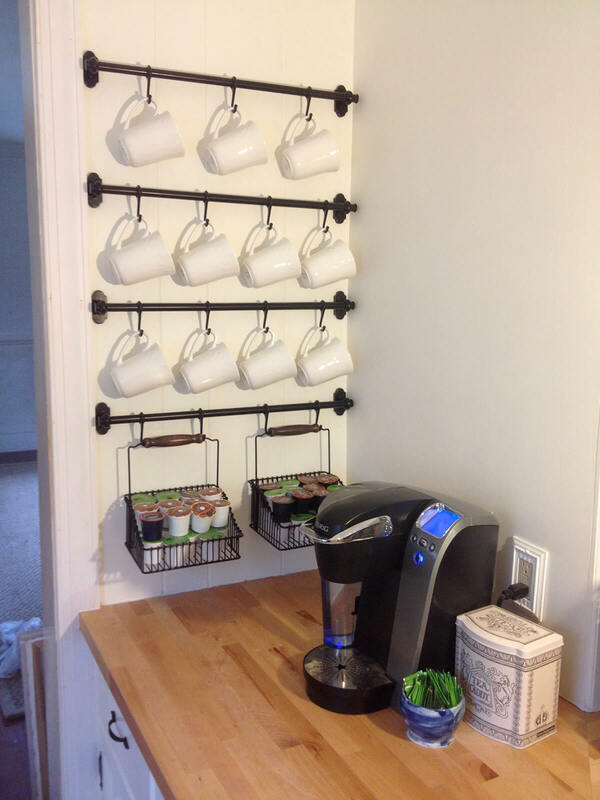 Having a coffee mug holder can free up valuable space in your cabinets. 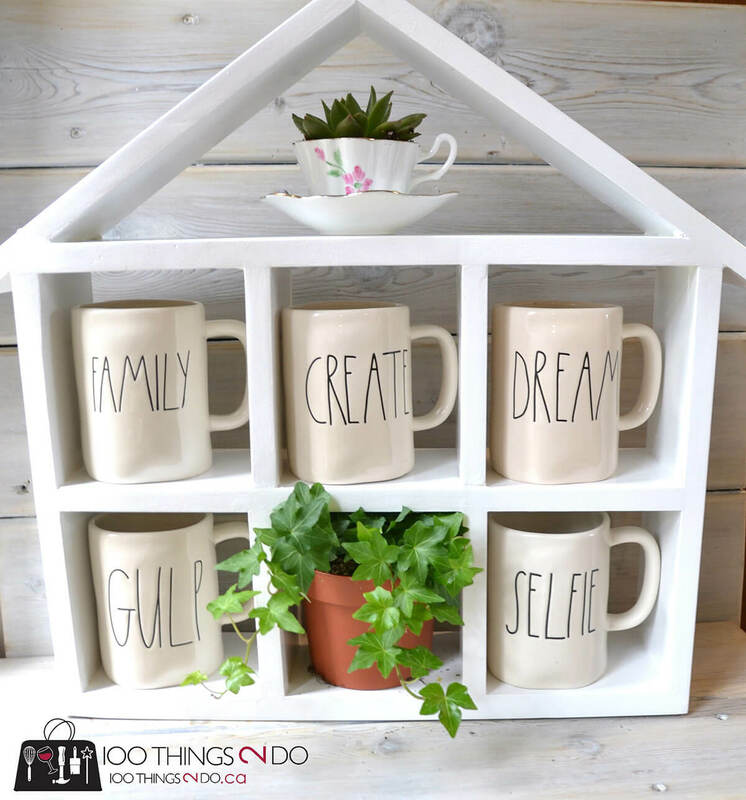 It is also fun to display your favorite mugs for family and friends to enjoy, rather than hiding them away in the cabinet. 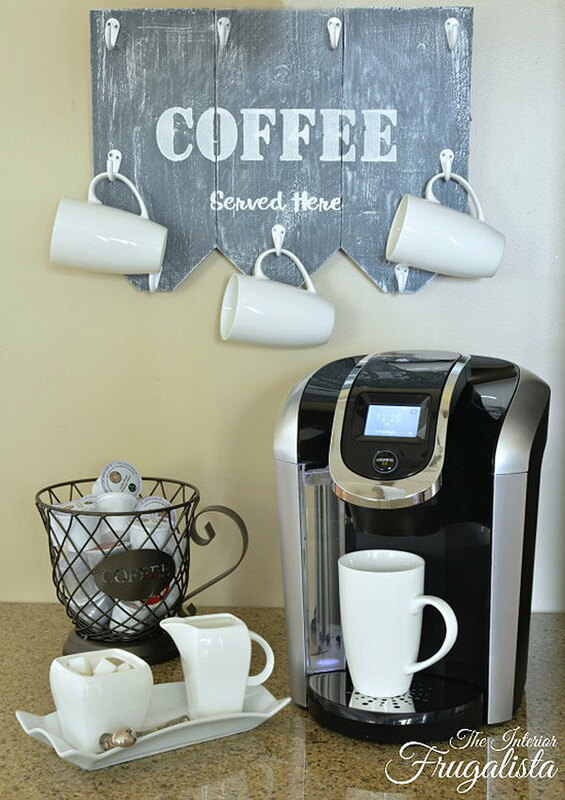 When combined with your coffee machine and necessary supplies, these racks and holders create inviting areas to make a warm drink and relax. 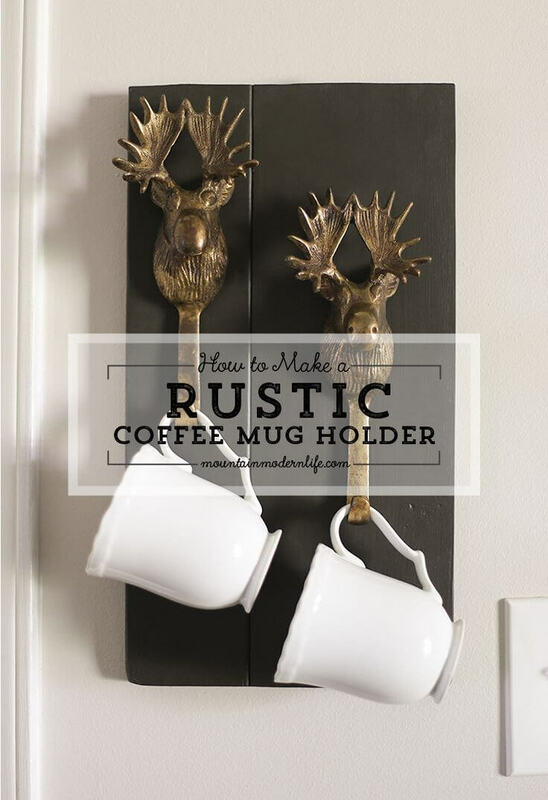 These coffee mug holders come in a variety of cute styles from farmhouse to modern. 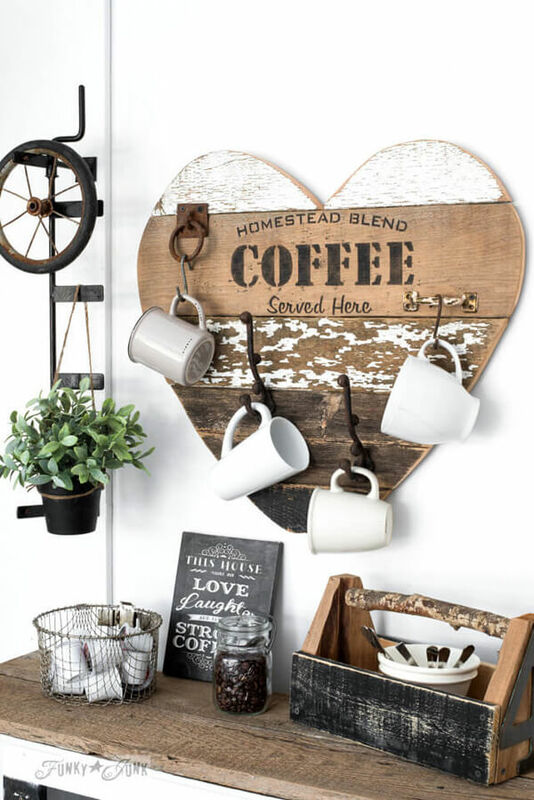 Many of them use reclaimed materials for an authentic touch. 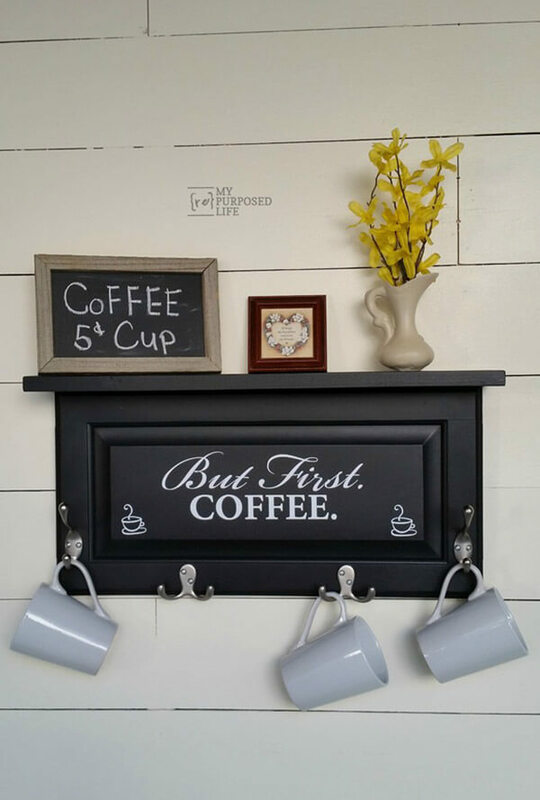 A few look reclaimed, but are made of new materials and painted in a distressed style. 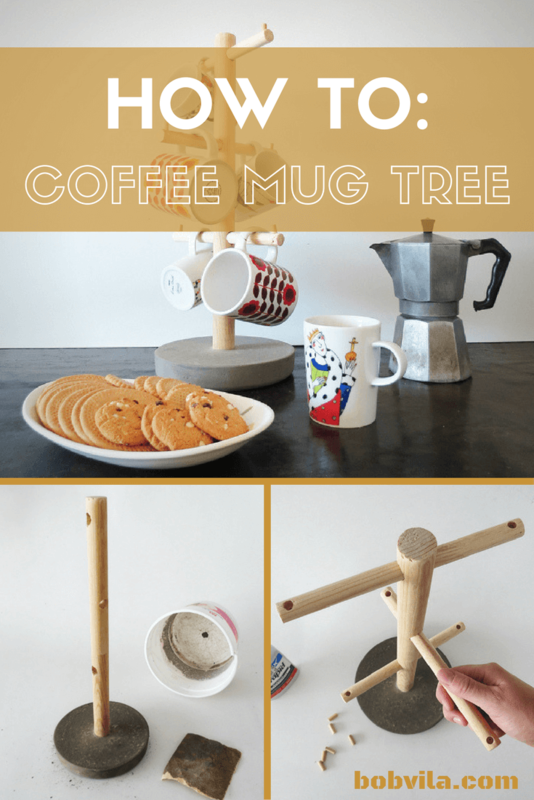 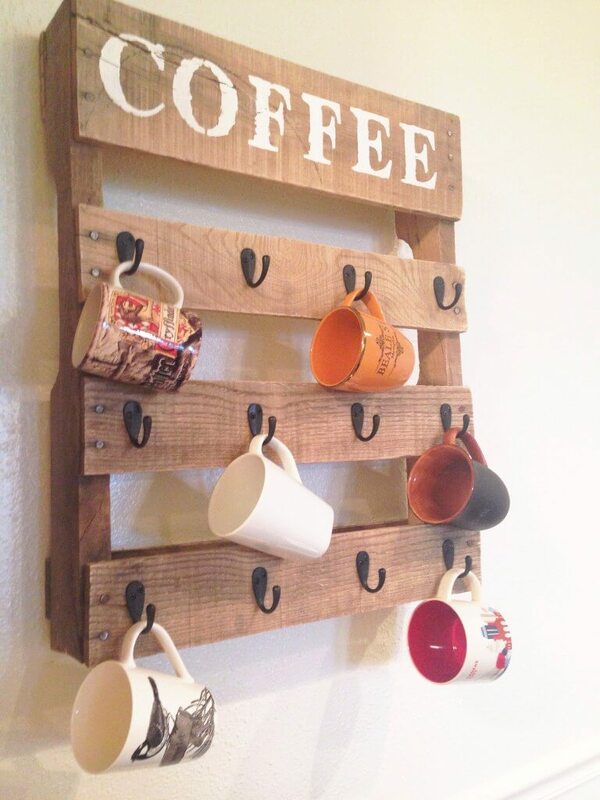 These coffee mug holders use a variety of woodworking techniques and can be adapted for anyone’s skill level. 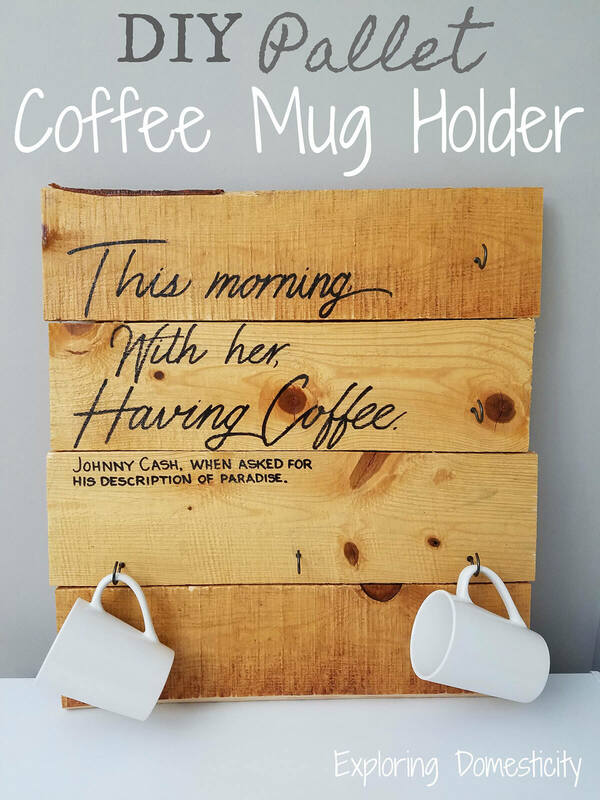 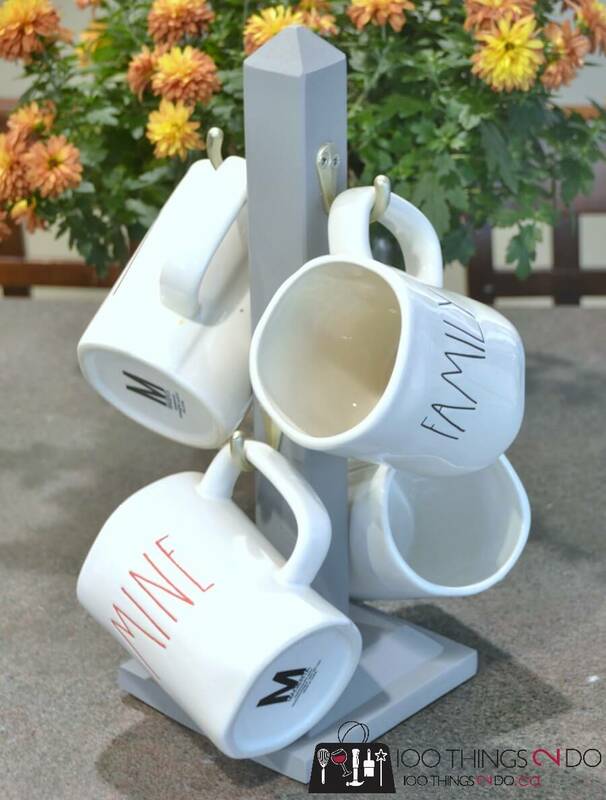 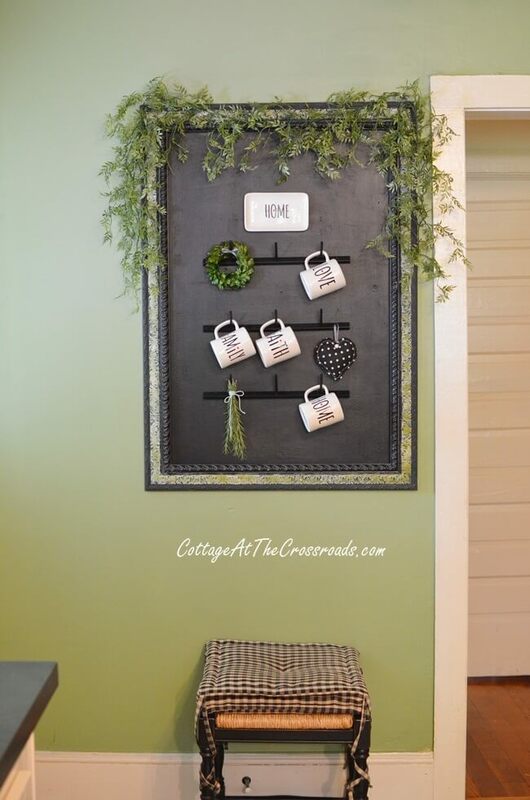 Some of these mug holders are so easy, all you need to do is paint a pallet, decorate it with stenciling, and screw in some cup hooks. 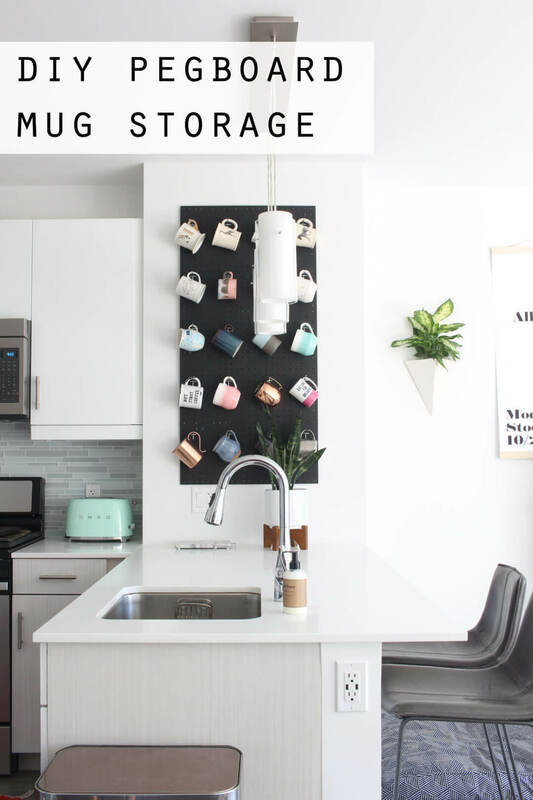 There are a mix of countertop designs and wall designs. 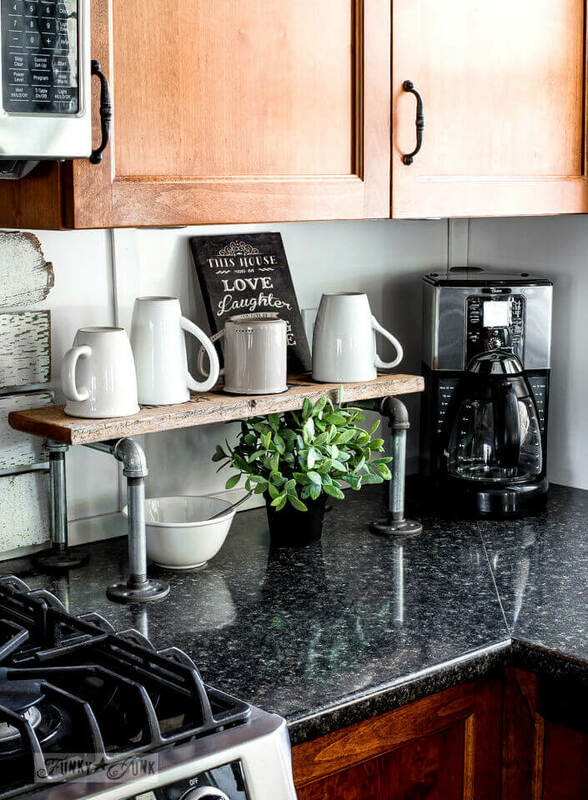 One of the more unique countertop designs features a base of plumbing pipe with a shelf for mugs. 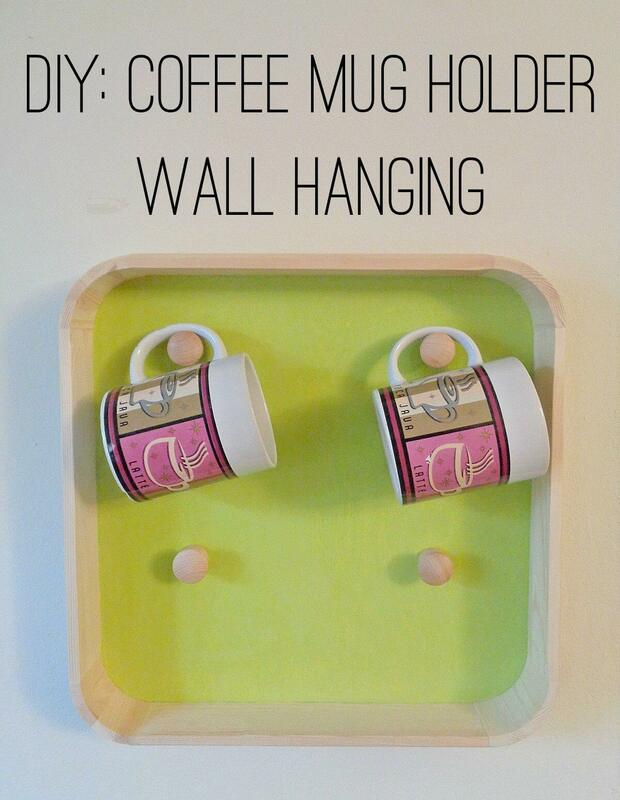 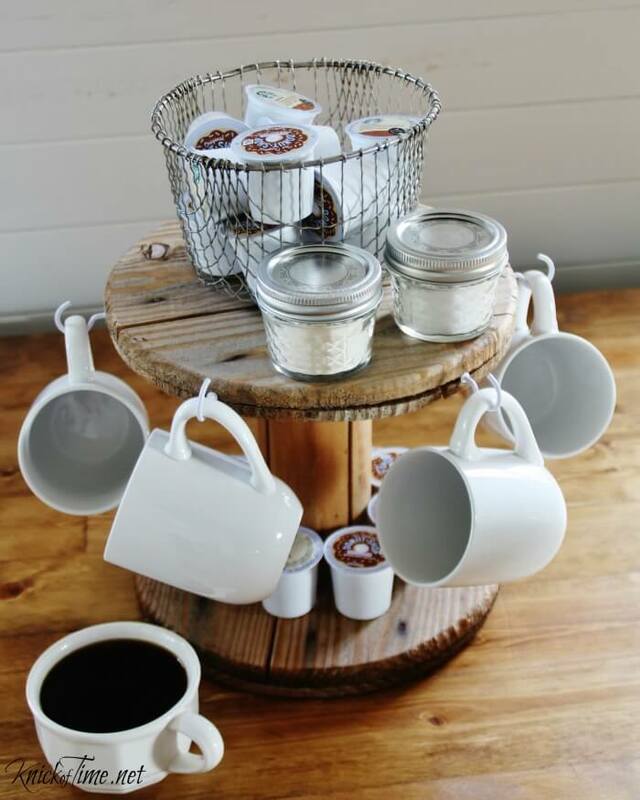 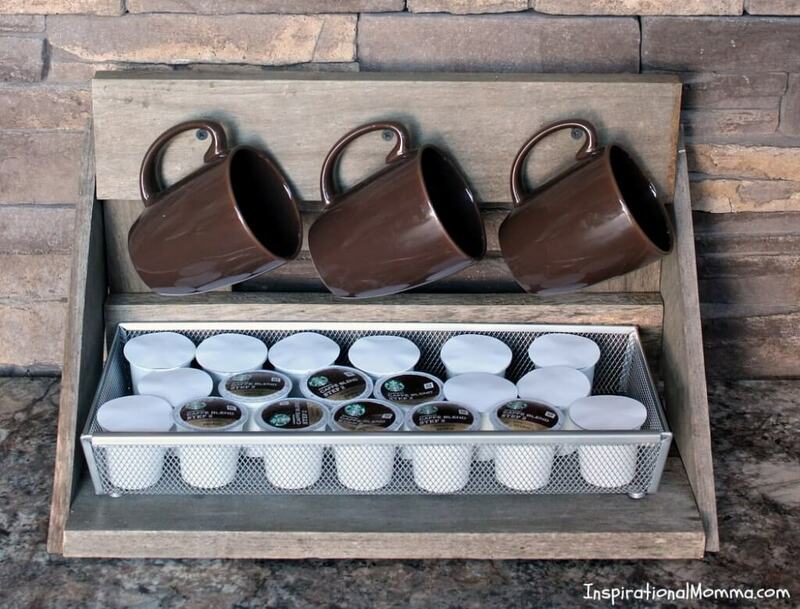 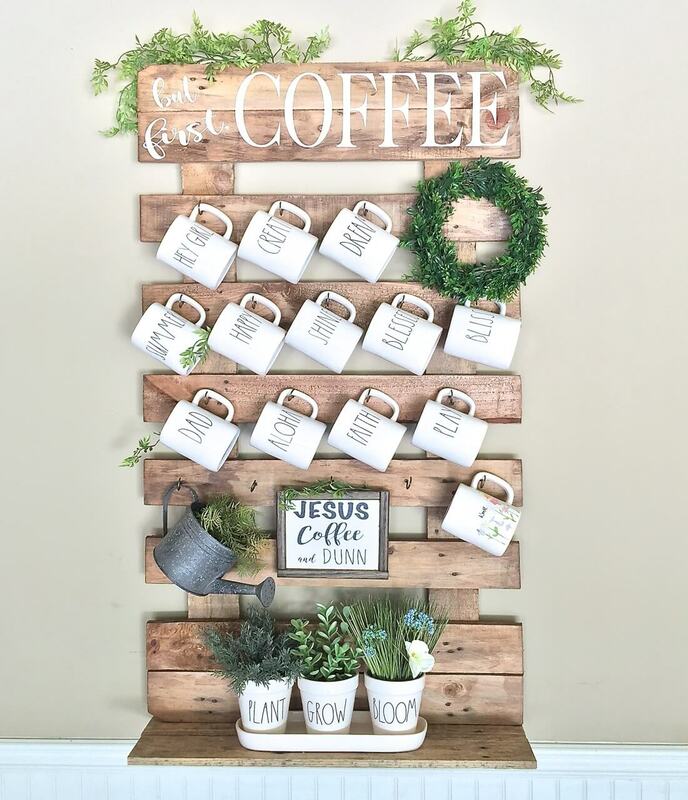 Try one of these simple, fun DIY ideas and make your own coffee rack today. 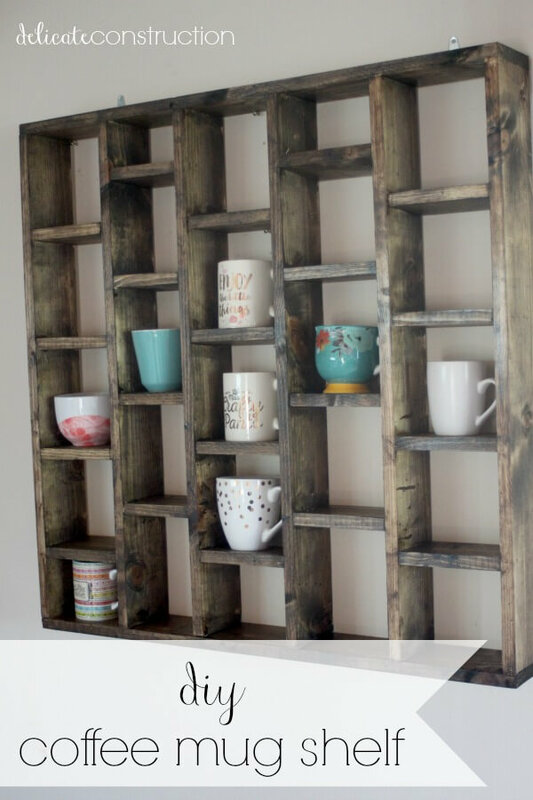 Most of these projects can be done in a weekend, and some are even quicker.